At a time of low demand in residential and commercial real estate, developers and high-net-worth individuals (HNWI) have found the time is right to put their money in serviced apartments, which offer better yields and a steady income compared with other asset classes. Apart from the potentially lucrative returns, freehold serviced apartments have become popular among investors because owners can use the property for personal use each year. Serviced apartments align with Dubai’s tourism goal of attracting 20 million tourists per year by 2020. The top markets include visitors from the GCC who often travel in large groups and for longer periods. Accordingly, a number of high-profile projects are under way, including brands such as The Address, Vida, Viceroy by SKAI, Jumeirah Living by Select Group, Alef Residences serviced by the W Hotels and Kempinski Residences Business Bay. Andrew Cleator, Luxury Sales Director of Luxhabitat, a real estate brokerage firm, says Dubai’s freehold serviced apartments segment is growing at a healthy pace with more developers adopting the concept. “The segment has grown quite large with many players, more so in prime residential areas than the perimeter affordable home districts,” he says. Cleator, whose firm sells off-plan properties such as Armani Residences, The Alef Residences, The Kempinski, Viceroy and Anantara Residence, has observed two main categories to emerge: developers that build their own brands such as Emaar’s The Address and Vida, and developers that franchise or partner with brands such as Paramount, Jumeirah, Kempinski and Bvlgari. Additionally, he says there is a convenience factor to serviced apartments: furnishing, housekeeping, room service and other amenities such as TV, internet, water and electricity costs. Hamptons International says serviced residences are the preferred investment choice by its customers because of their appealing returns. The Dubai-based real estate company is the exclusive sales and marketing agent for The Address Residences Jumeirah Resort and Spa, which offers freehold homes in the last available land plot for development on Jumeirah Beach Walk. Additionally, developers are generating income by selling the units off-plan, helping improve the financial structure of the project. “Serviced apartments in the purely operating model [non-sales] are highly complementary with the hotel components, as they target a different type of guests, mainly mid-term and long-term contract, and enable developers to differentiate their overall product offering,” says Vucinic. From an investment perspective, they also offers benefits such as lower operating costs and longer average length of stay, including annual contracts. Serviced apartments thus typically have more stable occupancy with less fluctuation. “Serviced apartments are known to be less impacted by seasonality,” says Vucinic. 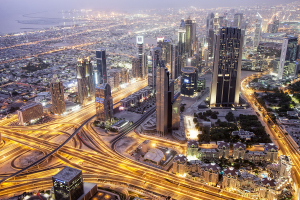 According to JLL, there were nearly 25,000 serviced units from 207 establishments in Dubai last year, accounting for nearly 25 per cent of the hospitality supply. Dubai’s Department of Tourism and Commerce Marketing (DTCM) has three categories for hotel apartments: standard, superior and deluxe. The standard category consists of unbranded establishments, while the superior and deluxe categories typically consist of either local, regional or international brands. “The majority of unbranded serviced apartments are found in the more established areas in the city, such as Bur Dubai and Deira where there are over 8,500 hotel apartments associated to unbranded establishments compared with just over 2,700 hotel apartments that are part of chains or groups,” says Vucinic. Some developers that have ventured into the segment tell PW there is a strong demand in the HNWI segment for fully serviced and managed, high-end primary and secondary residences. “Market response has been particularly strong across the various product offerings with the larger units in the project having generated as much interest as the smaller ones,” says Mustafa Pooya, chief commercial officer of Select Group, which recently launched the 508-unit Jumeirah Living Marina Gate and signed a management agreement with Jumeirah Group. Since 2010, with ever-increasing tourist numbers, Dubai has been experiencing growing demand for branded serviced residences. The segment has also caught the fancy of overseas investors looking for a turnkey investment solution. Key areas in Dubai that are seen as primary investment areas are the Palm Jumeirah and Downtown Dubai, followed by Dubai Marina, Jumeirah Lakes Towers and Barsha Heights.